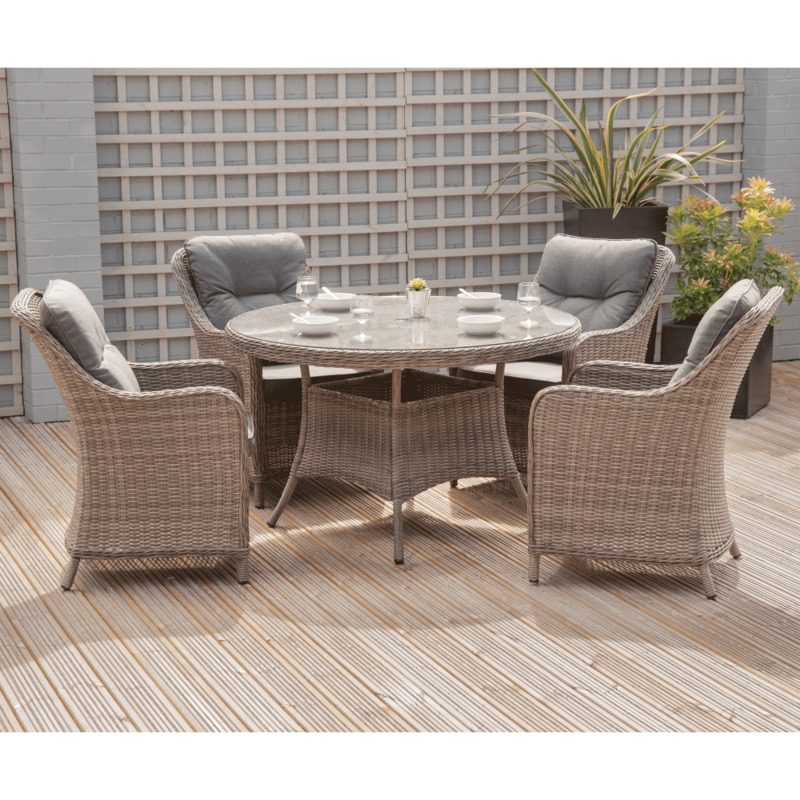 Dove Half Round Aruba 5-piece Dining Set: Make the most of your outdoor space with this beautiful dove grey, rattan garden dining set. The set contains a round table and 4 arm chairs. The round table comes complete with a tempered glass table top and hole for a parasol. This set is perfect for when you want to dine or entertain al fresco, or if you just want to relax outside with a good book. The all-weather, UV protected, half round, weave rattan is resistant to fading and fraying, ensuring your furniture keeps looking its best for longer. Treating the aluminium frame with a premium powder coating provides exceptional protection against rust and corrosion. Incredibly comfortable, showerproof cushions mean you don’t have to worry about them getting wet in a sudden downpour and can be easily wiped clean with a damp sponge. This is the perfect rattan dining set, for all your garden needs.